Partnerships are helping the Northeast Indiana Innovation Center expand its footprint, which could help birth more businesses. The business incubation center along Stellhorn Road in northeast Fort Wayne last week announced it would establish regular office hours at the downtown branch of the Allen County Public Library. Through the branch, the Innovation Center will offer free, one-on-one business coaching to individuals needing assistance or advice on starting or growing a business. The library is providing the space – in its Business & Technology Conference Room – at no cost. That announcement followed a similar one in February about a partnership involving the Whitley County Chamber of Commerce and Visitors Center and the Women's Entrepreneurial Opportunity Center, which is housed at the Innovation Center. The Innovation Center considers the collaboration with Whitley's chamber and visitors center part of a new Enterprising Communities initiative. The goal is to help support the entrepreneurial spirit. Focus areas include improved access to networks, capital, talent and workspaces. 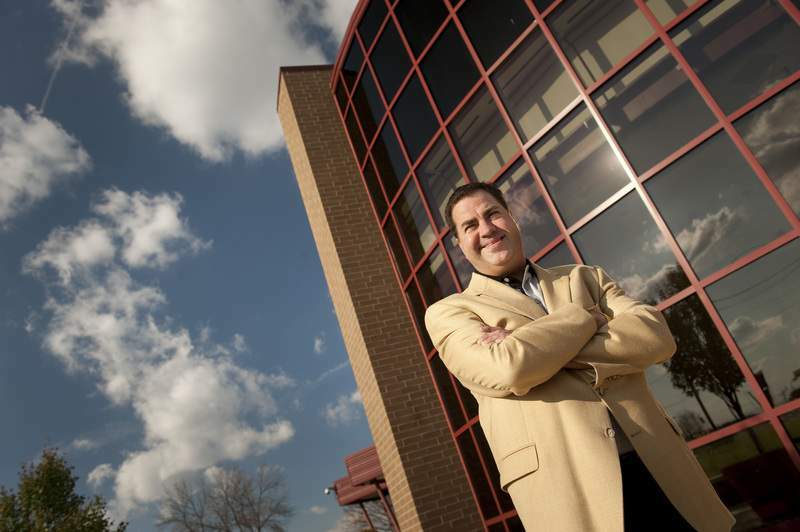 Innovation Center President and CEO Karl R. LaPan said the plan is to increase the knowledge and expand the networking “to spur the region's entrepreneurial energy,” increasing the number of business starts. Local needs and priorities will be considered, rather than “a one size fits all” approach, he said. The Whitley chamber and visitors center has been a primary source for businesses and nonprofits in that county. But center officials noticed “some resource gaps relative to serving entrepreneurs,” Executive Director Jennifer Romano said last month when the partnership was announced. One-on-one business coaching for women, training, workshops on marketing products and service, social media and other topics are planned through the partnership with the Innovation Center. The Women's Entrepreneurial Opportunity Center is one of two facilities in Indiana that the U.S. Small Business Administration has designated as a Women's Business Center. In Allen County, while the Innovation Center expects to provide coaching and similar services, the library can provide databases and other information resources to support business owners. Initially, Innovation Center staff will provide coaching and other services at the library, collaborating with the employees at the downtown branch on schedules, LaPan said through an email. Starting next month, Innovation Center hours at the library will be 2:30 to 4:30 p.m. on Tuesdays and 10 a.m. to noon Thursdays. There are also plans for workshops and training opportunities to “help equip business builders with the skills needed to successfully launch and grow their business,” LaPan said. Both the library and Innovation Center expect the partnership to quickly expand to all 14 library branches. “Our goal is to make it as easy as possible for potential entrepreneurs to find the resources they need,” said Mike Fritsch, entrepreneur-in-residence at the Innovation Center.